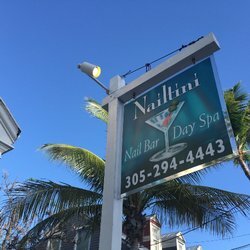 The friends I visited gave me a gift certificate for a facial at Nailtini, the salon on the main drag in Key West. And so, at noon on Christmas Eve, I got pampered. I was cleansed, exfoliated, extracted, massaged and moisturized. Best of all, I got to enjoy a complimentary cosmo. Sigh. It was a lovely, much appreciated gift. This post is accompanied by an image of saltines, and this gal's consumption of saltines can mean only one thing: TUMMY TROUBLE! My digestive system has been bedeviling me for nearly a week now ... since December 23, as a matter of fact. While it was never constant, and didn't impinge on my vacation, I did see a rather startling color in the bowl. The duration and the oddness of it scared me enough to send me to the doctor's office yesterday. My doctor did not automatically dismiss me out of hand. That scared me. Instead of just giving me industrial strength Immodium and sending me home, she called for lab work. Because I'd been traveling, she assumed it was just some virus I picked up (probably at one of the airports), but since I take NSAIDs for headaches and a statin for my cholesterol, she wanted to make sure it wasn't my liver. So she requested a blood panel. Liver disease/damage is scary. Wasn't happy to hear that at all. But she just called with the results. A-OK! I'm to stick to a bland diet and no booze through the weekend -- which will kinda harsh the remaining holiday celebrations on my calendar. And if, by Sunday, I'm still having tummy trouble, she wants a stool sample (she sent me home with a bowl/bottle set that I most emphatically don't want to use). But none of this really bothers me so much because I don't want to have liver disease/damage. So right now, I'm a happy gal. I have a lot of posting to do about Key West, about Christmas, about its aftermath. But right now I'm going to post about my little girl. I haven't tabulated it, but I suspect Connie receives the least mentions on this blog. But that doesn't mean she's not an important part of this household. 1) She is very affectionate. At the shelter, they said she resisted being held, but that's not been my experience. She's a cuddler. 2) But she doesn't understand human anatomy. She thinks my bust is a shelf and doesn't understand why she can't sit there without sliding off. 3) She's sensitive about her feet. Clipping her nails is such a battle that I don't do it anywhere near often enough. I'm not a big fan of people adopting kittens since there are so many older cats that need loving homes. BUT this is one advantage to getting 'em young. My cat Reynaldo -- for all his many, many faults -- is a prince about nail clipping, and I think it's because I accustomed him to having his feet handled when he was just a wee one. 5) She's a picky eater. But she has a lowest common denominator palette. She only likes kibble. For a long time I tried to make her happy with more and more expensive canned food, but finally got the message. She just doesn't like the wet stuff. She also won't eat in the kitchen beside the boys. I have to put her bowl on a dining room chair. I suspect it's because when she lived with the cat hoarder, she had to fight off other kitties who wanted to steal her food. 6) She doesn't beg. The boys -- Reynaldo and Joey -- are not at all shy about demanding snacks between meals. (They aren't always successful, but they keep trying.) She's far more easygoing about the meal deal. 7) She's the curious one. Every box or bag that comes in the door mus be thoroughly inspected. 8) She's got imagination. My boy cats have never been much for toys. They have a nice, big, shallow box filled with balls and catnip sacks and play mice, and they go untouched. They prefer to wrestle for exercise. But Connie can amuse herself by chasing and kicking and playing on her own. 9) She's chill. Storms don't frighten her, the way they do Joey. She's not forever trying to slip out the front door, like Reynaldo. She's really very easygoing and, except for the pedicure issue, very easy to care for. 10) She's our hub. The dynamics of our household changed radically with Charlotte's passing. Charlotte was the alpha and she ruled as a diva. She liked Reynaldo well enough, but always spurned poor Joey's attempts at friendship. Connie is also an alpha, but she's a far more benevolent despot. She plays with Rey but also cuddles and grooms Joey. It makes me happy that the old boy will end his life enjoying a daily dose of feline affection.